Co-founder Kim Devin (daughter of Dr. Roebuck) on formulating with natural ingredients for sensitive types and marketing with scare tactics. Pure face cream has only six ingredients, plus purified water: emulsifying wax; glycerin; paraffinum liquidum, stearic acid, glyceryl caprylate (natural preservative), sodium benzoate (natural preservative). If you know from Dr. Roebuck&apos;s, the brand that makes Pure, you know it&apos;s based on a natural formula created in 1978 by actual Drs Roebuck to help alleviate eczema symptoms for their twin daughters Kim and Zoe. And you know that 32 years later, Kim and Zoe founded Dr. Roebuck&apos;s skincare and re-created Pure as its cornerstone. I don&apos;t feature natural products much. That&apos;s mostly because nearly every natural brand&apos;s press release that hits my inbox relies on fear-mongering as a marketing crutch. Everything natural is suddenly "clean," and everything synthetic is "toxic," or "harsh," or "harmful chemicals," and conveniently ignored is the fact that natural extracts can be irritating and trigger allergic reactions, too. (Dermatologist Dr. Sandi Skotnicki, director of the Bay Dermatology Centre in Toronto, specializes in treating reactive skin: feverfew, tea tree, lavender, sandalwood, ylang ylang and peppermint are on her irritants-and-allergens watch list.) I just don&apos;t have the patience for that kind of marketing. Tell me what something is supposed to do for my skin, not that everything else is bad. 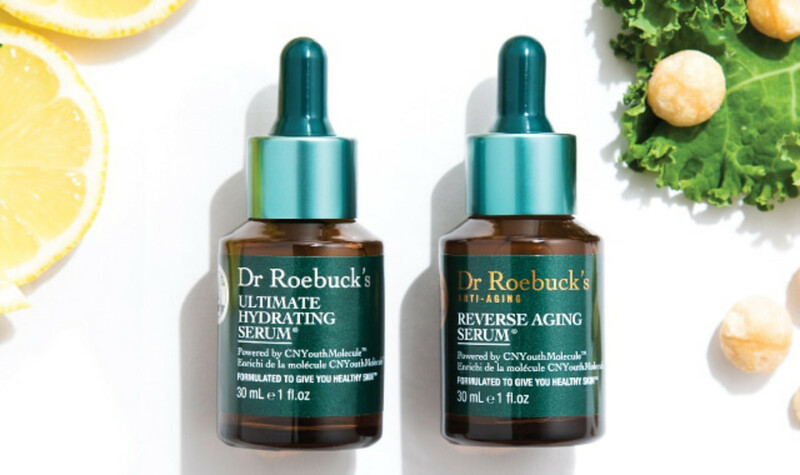 But I like the idea of Pure very much for its bare minimum of ingredients, and I&apos;ve been watching the expansion of Dr. Roebuck&apos;s, which now includes serums and anti-aging options. 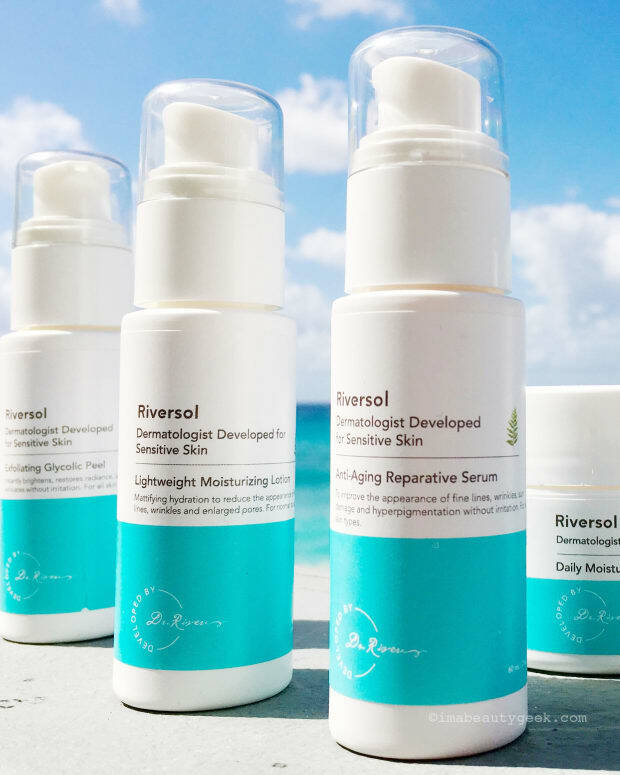 So co-founder Kim Devin and I had a little chat about formulating with natural ingredients for sensitive skin, the expanding focus of Dr. Roebuck&apos;s, and That Word, "toxic." dr. roebuck&apos;s: natural ingredients, sensitive skin, and about that word "toxic"
Beautygeeks: When we last spoke, it was about Dr. Roebuck&apos;s and sensitive skin; that&apos;s what Pure was created for, right? Kim: Yes, it was designed for sensitive skin, and it really works because its core dermatological formula creates a barrier. What I mean is, Pure&apos;s got the core ingredients that most moisturizers, high and low, have in their products, but without all the fillers. If you picked up a great moisturizer from another brand, they would have all those ingredients plus fillers. Beautygeeks: Some people can react to essential oils and botanical extracts. Are there particular ingredients you avoid, or that you use more often? Kim: A lot of journalists have asked in the past why we don&apos;t use tea tree oil – it&apos;s got some healing properties and it&apos;s Australian. But it&apos;s very active, people can react to it, so we don&apos;t use it. We&apos;re very conscious of the scents and the essential oils with active properties that we use. They are traditionally suitable for hyper allergenic skin. We consider that. For instance, most people with sensitive skin react to perfumes, and even to essential-oils fragrance. So when we created our scent for our hand cream and our wash, we used neroli and petitgrain for something that is calming to the skin rather than really active. We do use some powerful essential oils, but choose those that also have a soothing effect, like, lavender. We go with ingredients we know the majority of sensitive skin can use. Beautygeeks: And now you have serums and anti-aging formulas. 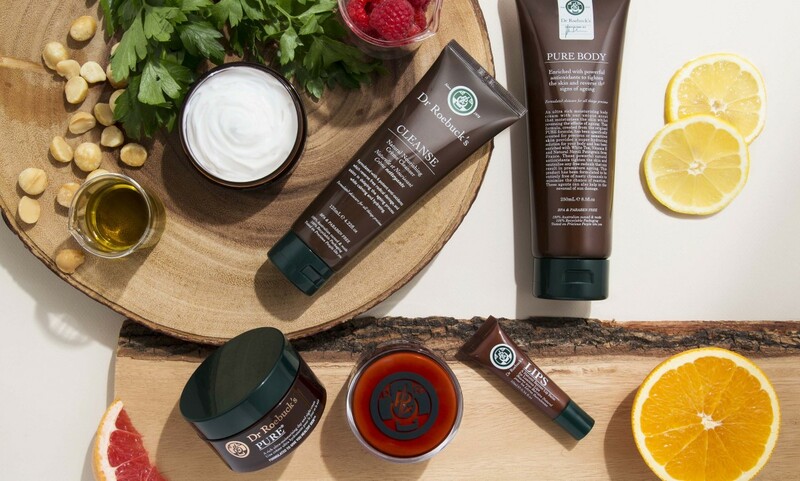 Dr. Roebuck&apos;s Ultimate Hydrating Serum, Anti-Aging Reverse Aging Serum and Anti-Aging Face cream. 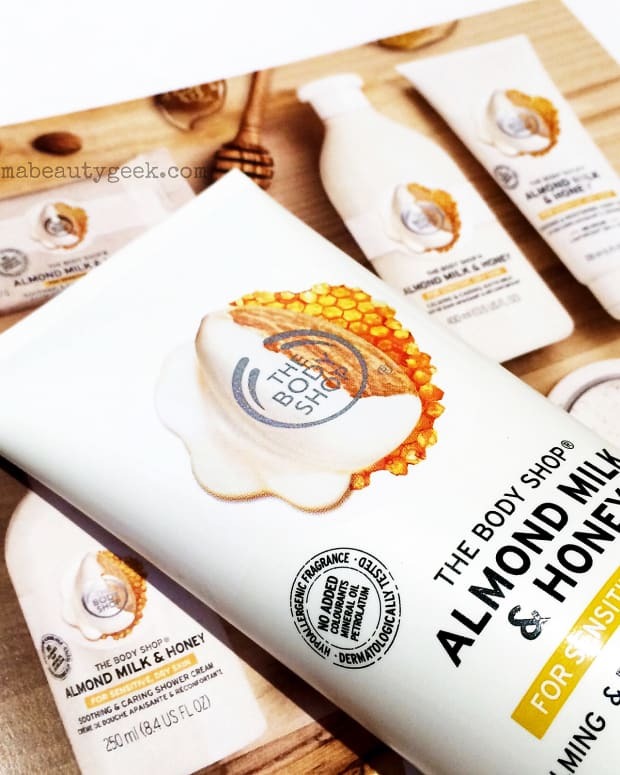 Kim: Sensitive skin is still an angle for us, but since we&apos;ve gone into the States, we&apos;ve noticed the market really is tilting more toward healthy skin. So with our serums and all of our really active products, we&apos;ve very much moved into the healthy skin space. All of our products can be used by people with sensitive skin. We still say patch test like any product. We can&apos;t guarantee, but we do test all of our products on people with sensitive skin. We have a test group of people that we&apos;ve used the whole time even for new batches of Pure – we have to test each batch, because the natural preservative changes so much. Beautygeeks: Now can we talk a minute about the word "toxic"? It&apos;s thrown around too often in the natural skincare and cosmetic world. Natural is showcased as non-toxic and synthetic equals toxic. What are your points of view on that? Kim: That communication strategy is a scare tactic, which I don&apos;t like. I have to say I&apos;m not negative about brands that like fillers. We have to deal with our chemist and our manufacturer all the time, who say to us, "Those chemicals, they&apos;re not bad for you, right? So why wouldn&apos;t you put them in there?" And they&apos;re not necessarily bad for you, but we just have this philosophy: everything that you need, nothing that you don&apos;t.
It all comes down to the health-and-well-being movement that&apos;s going on in the world at the moment. It&apos;s more of that chemical overload. We come from a medical background, and they&apos;ve shown that whether it&apos;s in your hair or skin care, you put chemicals into and on your body and you actually suppress your immune system, and you&apos;re therefore more likely to get sick because your body has to break down the chemicals. We&apos;re more about putting on your skin what your skin needs and avoiding what it doesn&apos;t need rather than talking to toxic, because it&apos;s not my place to tell you as a consumer whether those things are toxic or not, because half of them aren&apos;t. They just don&apos;t need to be in there. Beautygeeks: So this is a kind of a why-make-your-body-work-harder-than-it-has-to thing? Kim: Yes. I have the same philosophy when it comes to food. I avoid anything grown with pesticides, even though many have been proven safe. But they&apos;re still something my body doesn&apos;t need, so why would I put them in it? I&apos;m not going to go out there being an activist about what pesticides are because I trust that the government is doing their job. But I&apos;m making sure I minimize my own exposure. I don&apos;t eat processed food because your body has to break that down as well. That&apos;s a really good analogy: why put your body or your skin under undue stress with work it doesn&apos;t need to do? Okay, something to think about re: making the body work harder than it has to. Still, when it comes to ingredients with a molecular structure too large to penetrate the skin, or with inert properties (the opposite of "toxic"), I&apos;m not convinced the skin has to do anything. But I do like the idea of a minimal-ingredient approach, because at the very least, it reduces the chance the user will react to something unknown. The Dr. Roebuck&apos;s serums debuted this past fall, and spin on a complex the brand calls the "CNYouthMolecule:" carnosine, hyaluronic acid, Vitamin A, Vitamin C and Vitamin E. The base formula for both serums, it&apos;s designed to kick up hydration, boost collagen production, and temper the appearance of sun damage and deep wrinkles. The Ultimate Hydrating Serum ($79.95 CAD at beautyboutique.ca; approx $60 USD when available at sephora.com) contains creatine (reputed to stimulate collagen and cell regeneration), ubiquinone (aka Coenzyme Q10, which helps soften the look of fine lines and wrinkles and improves collagen production), Vitamin B3 (aka niacinamide, which helps lessen hyperpigmentation, boost elasticity and strengthen skin&apos;s natural barrier function), and aloe vera (for its soothing and moisturizing benefits). The Reverse Aging Serum ($79.95 CAD at beautyboutique.ca; approx $60 USD when available at sephora.com) puts more focus on repair with additional ingredients such as evening primrose oil, borage seed oil, and something called GATuline® in-Tense, which targets skin&apos;s fibroblasts to improve tissue density and firmness. I haven&apos;t tried either serum just yet, but I do have the Reverse Aging Serum lined up to try starting next week, along with a new jar of Pure. What do you think of the Dr. Roebuck&apos;s approach? Have you tried anything from this brand yet? Do you use much natural skincare already?